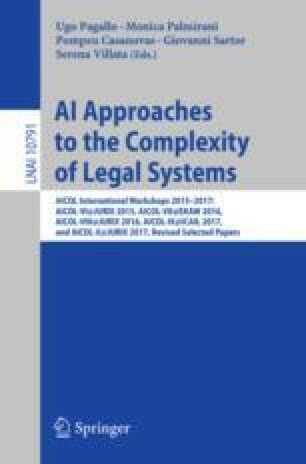 This paper highlights the benefit of semantic information retrieval in legal networks. User queries get more complex when they combine constraints on semantic content and intertextual links between documents. Comparing two methods of search in legal collection networks, we present new functionalities of search and browsing. Relying on a structured representation of the collection graph, the first approach allows for approximate answers and knowledge discovery. The second one supports richer semantics and scalability but offers fewer search functionalities. We indicate how those approaches could be combined to get the best of both. This work has been partially funded by French Single Inter-Ministry Fund (FUI-9, 2010–2013) and is supported by the Labex EFL supported by the French National Research Agency (ANR-10-LABX-0083).